Best Looks from the Roc Nation Brunch and Grammy's 2k18 Weekend, AKording to Ashley E.
Although the buzz surrounding the Grammy's Awards has semi-subsided, the spirit of my favorite part of awards season is still apparent. It’s the edgiest of all the awards shows and some of my most adored celebs come out to slay. In typical fashion, the Carter clan dominated the whole weekend and who needs a red carpet to do it? 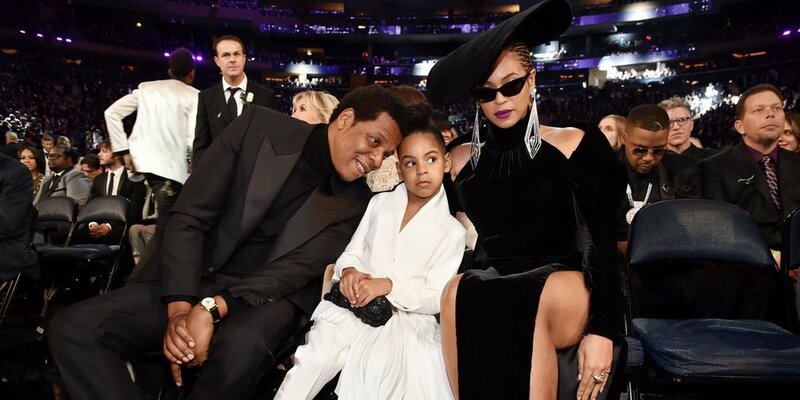 From the Roc Nation Pre-Grammy Brunch to the Clive Davis Pre-Grammy party (where Jay receiving his Industry Icon award went un-televised) to the family sitting like royals in the audience during the show. The Carters aim to leave everyone completely shook with slay after slay. Also, just wanted to say #BlueHive. Just look at them: what can anyone even begin to say? The always beautiful Cassie came through as usual giving elegance and Diddy was part of the turtleneck gang that was on and popping this weekend. It's hard not to love these notorious style icons! SZA gave me a throwback Bey vibe with her gown but made it all her own with signature big hair and minimal makeup. Can’t wait to see how she continues to evolve with her look and career. While the world is looking at Cardi B, I was looking over her shoulder at her stunning little sister, Ms. Hennessy Carolina. As much as I love Cardi as much as the next person, I do believe she is still growing and finding her style. However, Hennessy is a hidden treasure - in my opinion - and I love that Cardi B. shared that moment with her baby sister. Check out her Instagram for more looks. What were your favorite looks from this past weekend? ?